The conservative watchdog group Judicial Watch filed a lawsuit last week against New York City Mayor Michael Bloomberg’s office seeking communications between the office and Bloomberg’s gun control group, Mayors Against Illegal Guns. The Freedom of Information Law lawsuit seeks to compel the mayor’s office to produce all communications between the Office of the Mayor, the director of Mayors Against Illegal Guns (MAIG), and Vice President Joe Biden. Judicial Watch is also asking the court to force the mayor’s office to produce records of a January 9 meeting attended by MAIG representatives, Biden, and U.S. Attorney General Eric Holder. "We have good reason to suspect that New York taxpayers have been forced to foot the bill for Mayor Bloomberg’s anti-gun group," Judicial Watch President Tom Fitton said in a statement. "We have records showing that other municipalities also foot part of his anti-gun lobbying efforts. And it is well past time for the public to have a full accounting from Mayor Bloomberg about MAIG taxpayer-funded activities." Judicial Watch originally filed a request in January for the records. In June, Bloomberg’s office told Judicial Watch it would need an additional two months to provide a determination, then told the watchdog group its request had "not reasonably described" the records. Judicial Watch submitted a more thorough request in July, but as of October 3, it had not received a response. Judicial Watch filed its lawsuit on October 4. "Giving the document cover-up, it looks like Mayor Bloomberg has something to hide," Fitton said. As reported by the Free Beacon, taxpayers of New York City are footing part of the bill to help Bloomberg’s push to enact gun control measures at the state and federal level. Brina Milikowsky draws a salary as both a policy adviser to Bloomberg’s office and Mayors Against Illegal Guns (MAIG), a relationship that some critics find unsavory. 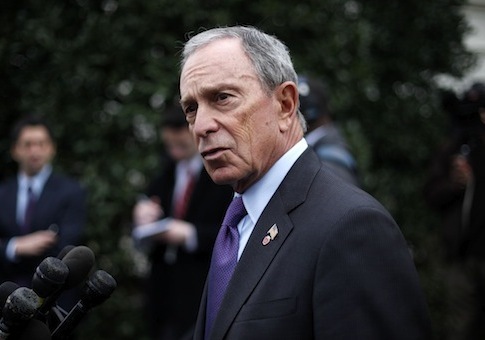 "It’s clearly unethical for Mayor Bloomberg to use a taxpayer-funded staffer from his office to promote his anti-Second Amendment group’s lobbying," Ken Boehm, co-founder of the National Legal and Policy Center, an ethics watchdog group, told the Free Beacon in July. New York City officials are well known for their poor compliance with state public record laws. A Village Voice reporter sued Bloomberg’s office after it denied a routine records request seeking emails between the mayor’s office and Bloomberg’s recent appointee for schools chancellor. The New York City Police Department is notorious for frivolously denying records requests. The Free Beacon filed a public records request for emails from New York Gov. Andrew Cuomo’s office regarding the state’s new gun laws, but the governor’s office exempted all such emails, save for 200 pages of acknowledgement letters to other records requests. Neither the mayor’s office nor the three other offices this reporter was directed to were immediately available for comment. This entry was posted in Issues and tagged Judicial Watch, Mayors Against Illegal Guns, Michael Bloomberg. Bookmark the permalink.